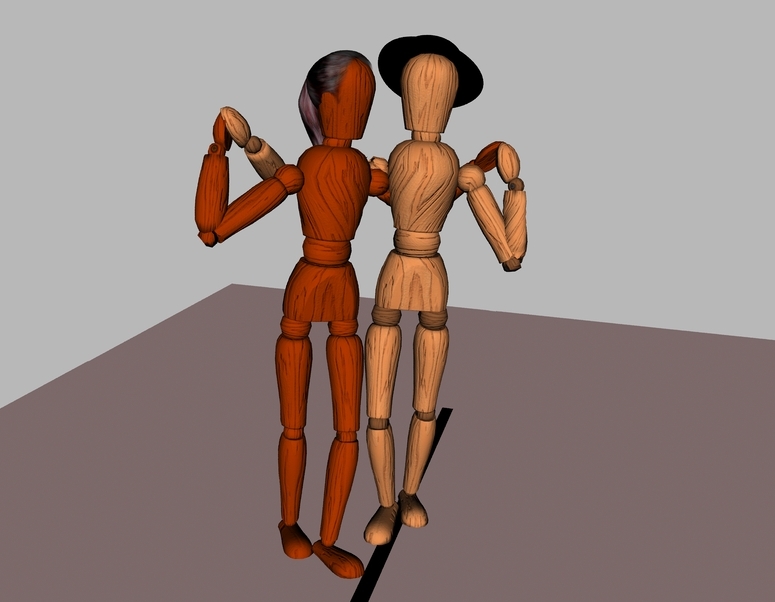 The dancers are facing the same direction with the lady positioned on the right side of the man. Both hands are connected in a crossed hold and rest on the shoulders of the dancers. 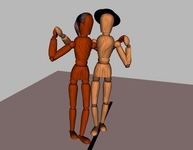 Sombrero can be done facing the line of dance or facing perpendicular to the line of dance. 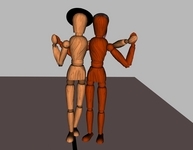 In the example on the left the dancers are facing perpendicular to the line of dance. Left sombrero The dancers are facing the same direction with the lady positioned on the left side of the man. Both hands are connected in a crossed hold and rest on the shoulders of the dancers.